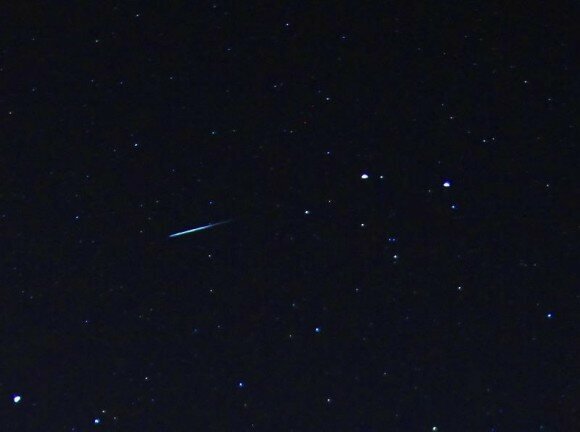 Draconid meteor shower – sometimes called the Giacobinids – radiates from the fiery mouth of the northern constellation Draco the Dragon. Because the radiant is located so far north on the sky’s dome, this shower favors temperate and far-northern latitudes, such as the U.S., Canada, Europe and northern Asia. In 2015, the peak dates will probably be on the evenings of October 8 and 9, starting at nightfall. There’s no moon to obscure this year’s shower, so it’s worth a look, although the shower is oftentimes a sleeper. But watch out if the Dragon awakes! 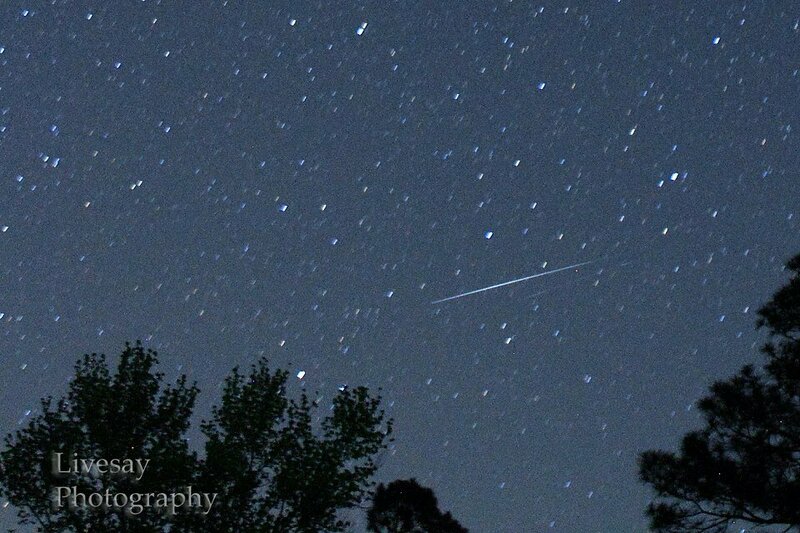 Follow the links below to learn more about the Draconid meteor shower. 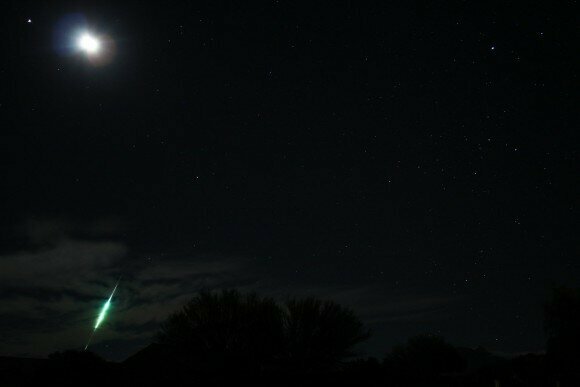 What is the origin and history of the Draconid meteors? This annual meteor shower results when the Earth in its orbit crosses the orbital path of Comet 21P/Giacobini-Zinner. Debris left behind by this comet collides with the Earth’s upper atmosphere, to burn up as Draconid meteors. This comet has an orbital period of about 6.6 years. It’s about 6 times more distant at its farthest point from the sun than at its nearest point. At aphelion – its most distant point – it’s farther out than the planet Jupiter. At perihelion – its closest point to the sun – it’s about the Earth’s distance from the sun. 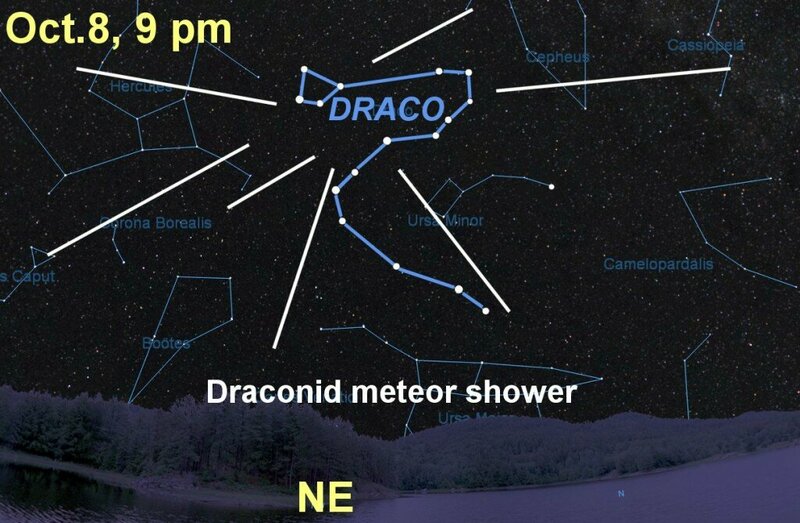 Most meteors in annual showers aren’t named for their parent comets, but instead for the constellation from which they appear to radiate, in this case Draco the Dragon. Happy New Year, everyone! Here’s a list of major meteor showers in 2016. 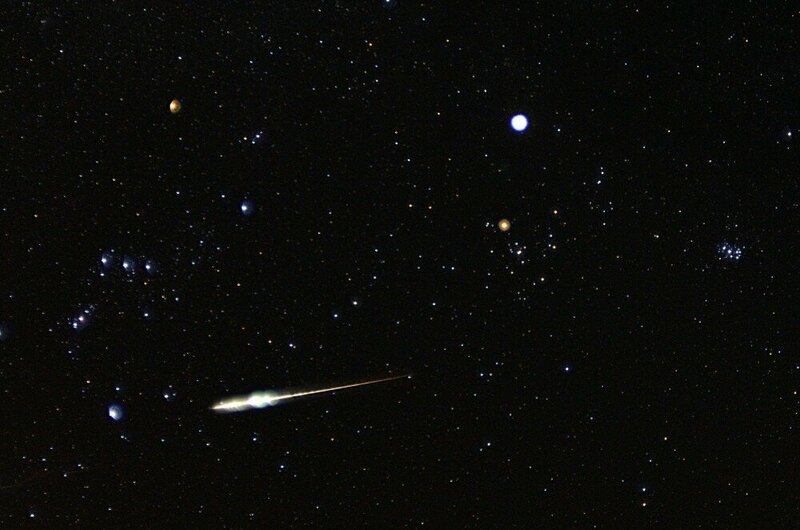 Draco’s meteors, however, defy convention by sometimes also being called the Giacobinids, to honor the role this comet played in the history of astronomers’ understanding of what meteors actually are. Michel Giacobini discovered this comet on December 20, 1900, and thus the comet received his name. Another sighting in 1913 added Zinner to the comet’s name, which thus became 21P Giacobini-Zinner. Astronomers in the early 20th century thought that meteors and comets were related, so of course they tried to link various comets to the spectacular showers of meteors that sometimes rain down in Earth’s sky. Comet 21P Giacobini-Zinner was a particularly tempting object about which to make predictions. Remember, it returns every six years, and its closest point to the sun is about the same as Earth’s distance. What’s more, Comet Giacobini-Zinner did not disappoint the astronomers. 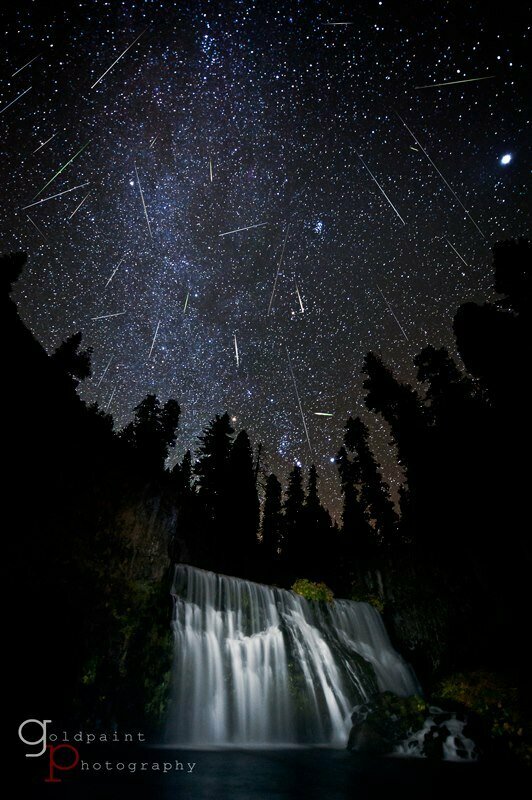 The Draconid meteor shower produced awesome meteor displays in 1933 and 1946, with thousands of meteors per hour seen in those years. 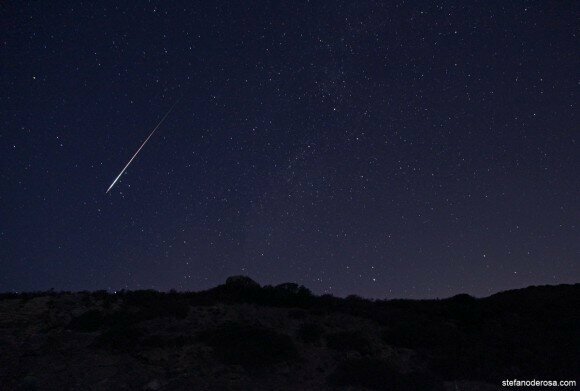 Read a more complete account of historical predictions about Giacobini-Zinner and its meteor showers here. 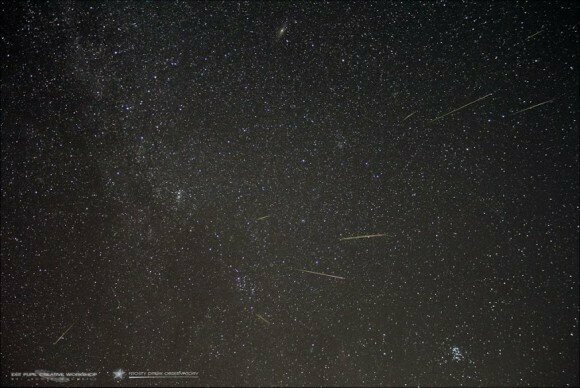 Even three years ago – in October 2011 – people around the globe saw an elevated number of Draconid meteors, despite a bright moon that night. European observers saw over 600 meteors per hour in 2011. But, again, no one is expecting that this year. The relationship between 21P Giacobini-Zinner and its meteors – so studied and discussed in among professional astronomers in the early 20th century – probably explains why the Draconid meteor shower sometimes goes by the name Giacobinids. For a taste of history related to this shower, go to the Astronomy Abstract Service from the Smithsonian and NASA and find a 1934 article called The Meteors from Giacobini’s Comet by C.C. Wylie. It is an account of the famed meteor storm of 1933. 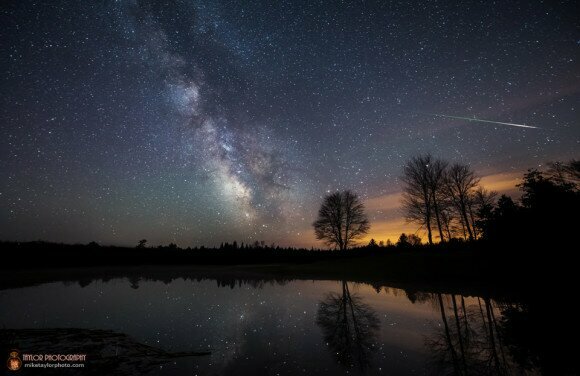 Bottom line: In 2015, the Draconid meteor shower – also called the Giacobinids – is expected to produce the most meteors on the evenings of October 8 or 9, with no moon to put a damper on this year’s production. 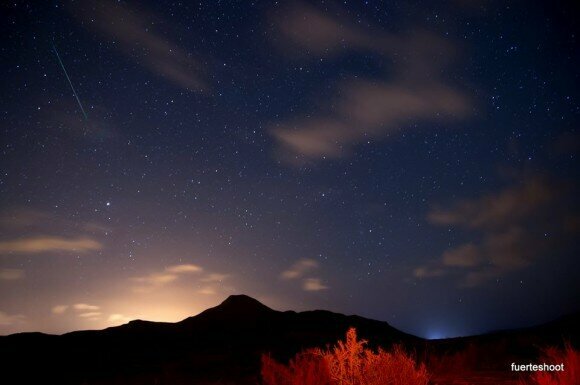 Find a dark, country sky and as much open sky as possible. Lie down on a reclining chair and look upward, as soon as darkness falls. 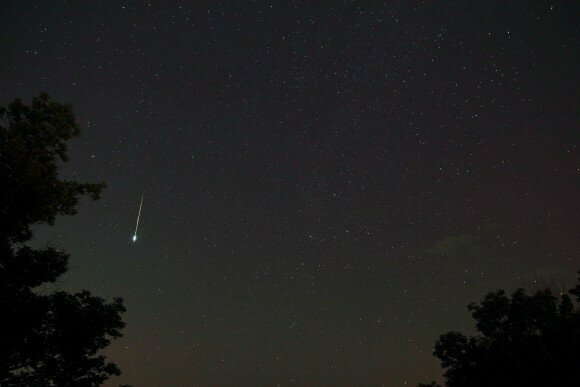 How many Draconid meteors will you be able count in on October 8 and 9? No one expects a Draconid storm this year, but one can always hope!